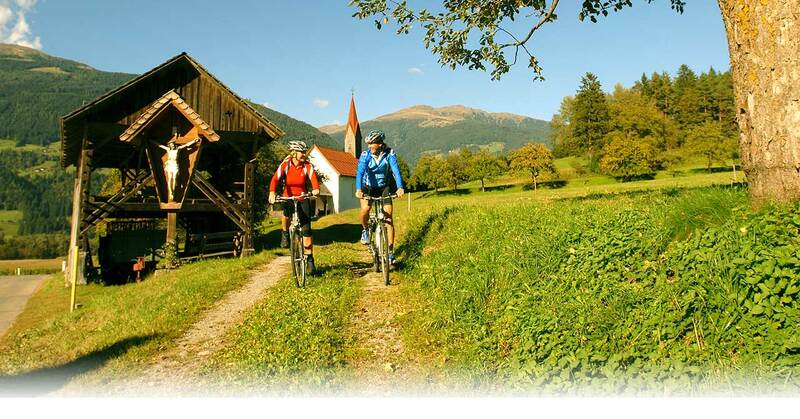 Mountain biking on a panoramic path or bike tours along the comfortable Drau hiking path R1 (Drauradweg R1). Who doesn’t dream of a romantic excursion into nature, with fields in full bloom, passing old castles and chateaus, gothic church towers and Romanesque chapels? The Glocknerhof is member of the well-known Drauradweg hosts and is an attractive base for leisure cyclists. Located on a hillsede with panoramic view and allows bicycle tours into all directions. The new Mountainbike Trail at mountain railways Weissensee is a biking experience for beginners and advanced bikers: root paths, switchbacks, steep turns, moguls and wooden bridges. The length of the downhill course is 3.3 kilometers. Emberger Alm and Oberberger Alm are now connected with a panorama way. 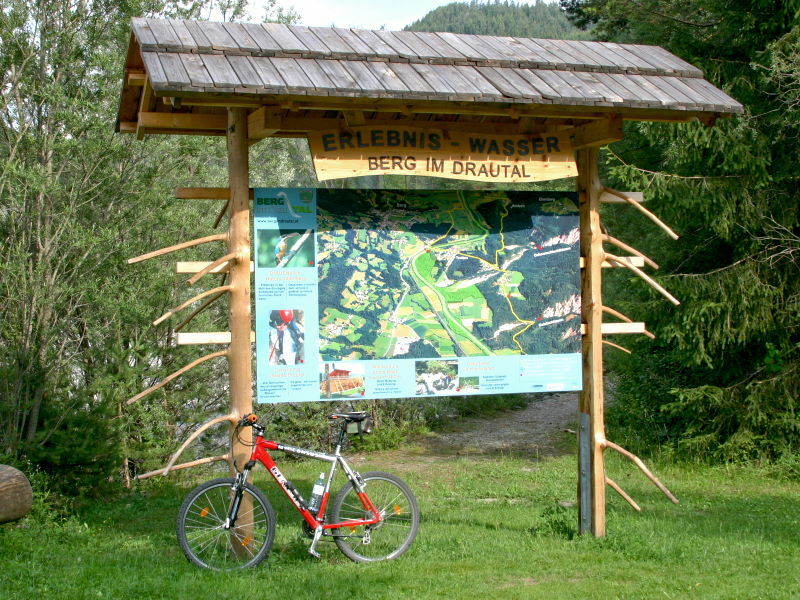 The MilkyWay is a thematic trail from Oberberger Alm to Emberger Alm and is suited for mountain biking. From the bridge across the river Drau (coming from Drau cycle path R1): There is a railway station on the left. Straight ahead you will come to the center of Berg im Drautal. On the right there is a gas station in 30 m distance. Please turn right towards the gas station and turn left directly in front of it. Follow the path. It runs parallel to Berger Bach. After the forest turn right into a small residential area and follow this road until you come to the Glocknerhof. As an alternative to cycling, we offer many sports and health activities. Electric bikes are ready to explore the surrounding mountains, lakes and mountain villages sunny side effortlessly. All e-bikes are environmentally friendly bikes of the brand Siga with modern Bosch drive system. We offer this electric bikes for Euro 14,- per half day and Euro 19,50 per day. 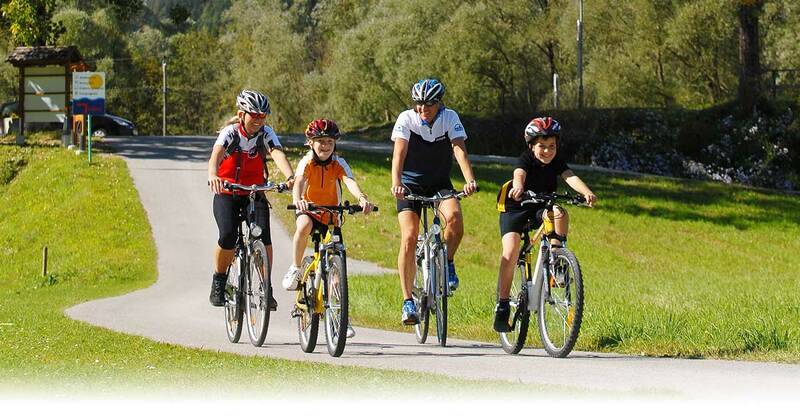 The Drautal (Drau Valley) offers you the most attractive varieties of bicycle activities in Austria. The Drauradweg R1 (Drau bike path) was awarded by the ADFC as a 4-star quality bike path. It leads to about 366 km from Tobiaco in South Tirol Italy over Sillian in East Tirol, Lienz and Spittal an der Drau into the Carinthian lake area, passing the Millstättersee, Ossiachersee, Wörthersee and Klopeinersee (lakes) all the way to Völkermarkt and Slovenia. It’s easy even for kids to use. Click here for cultural and natural monuments in the Upper Drau valley. 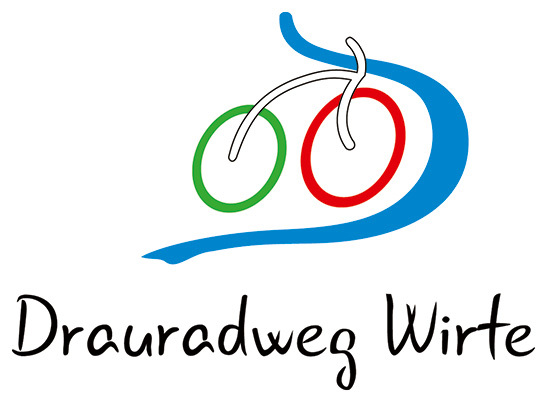 More information on the official website of Drauradweg R1. Cycle along the Dray Cycle Path R1 to Lienz, enjoy a leisurely stroll through the town and a ride with the Osttirodler - a spectacular Alpine rollercoaster with 2.7 km in length – then come back to Berg im Drautal the comfortable way by train; or do it the other way round. 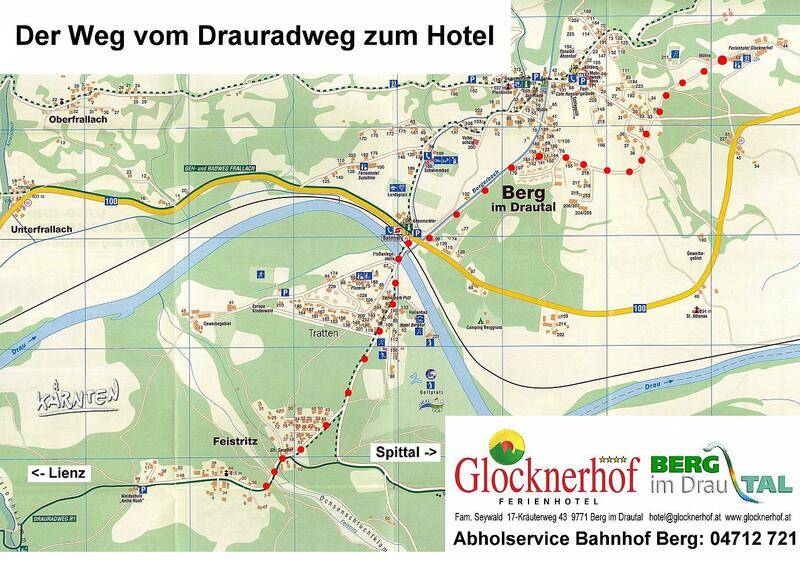 More information about the Drau Cycle Trail R1 (Drauradweg R1).